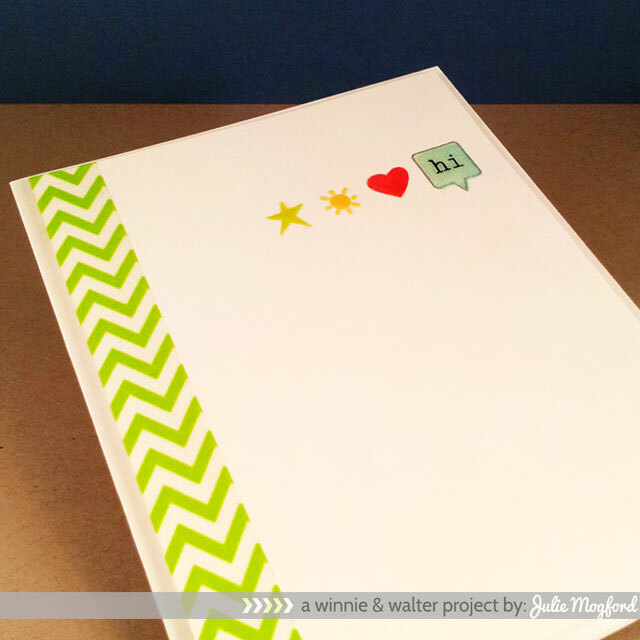 To enter to win Bubble Talk + The Write Stuff: Picture Perfect continue reading! Please note that due to some issues we've had during production Bubble Talk will not be available until June. If you are interested in purchasing the stamp simply use the email notification form on our website from May 25th on and you will be the first to know when we have it available for purchase. Thank you so much for your patience and understanding! Bubble Talk has great sentiment building opportunities for numerous occasions and uses! In fact there are a few that just tickle us. Winnie and Walter have no idea what we find so funny, but they sure like us laughing. 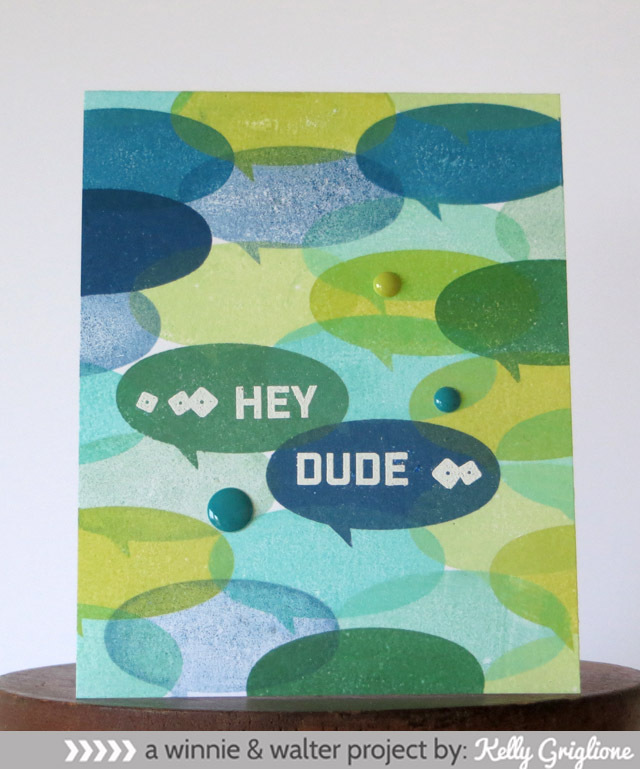 In addition to bold words and smaller longer sentiments there are two outline and two solid speech bubbles to add your custom sentiment in. And the words work in concert with The Write Stuff: Picture Perfect...it is like the camera and its flash! 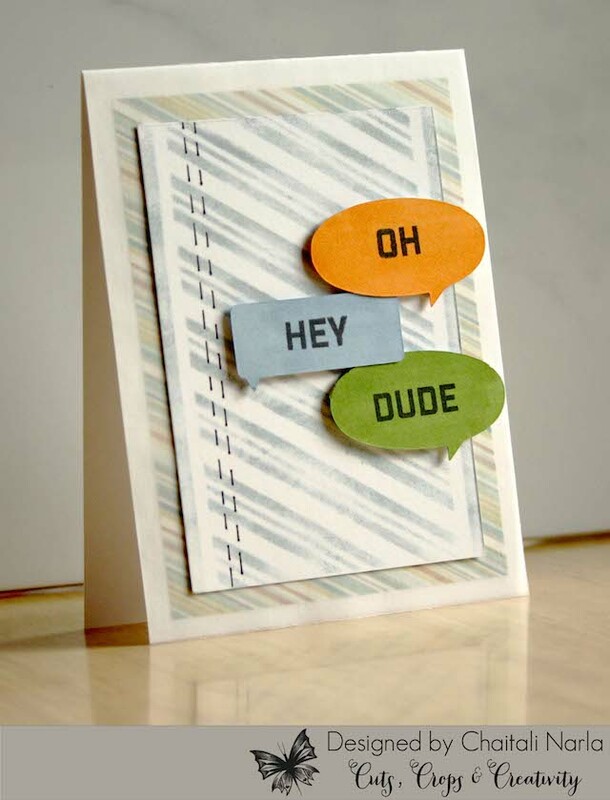 Plus, you can use the smaller words from The Big, the Bold and other stamp sets with the speech bubbles! We don't like to play favorites, but this camera is the boss! 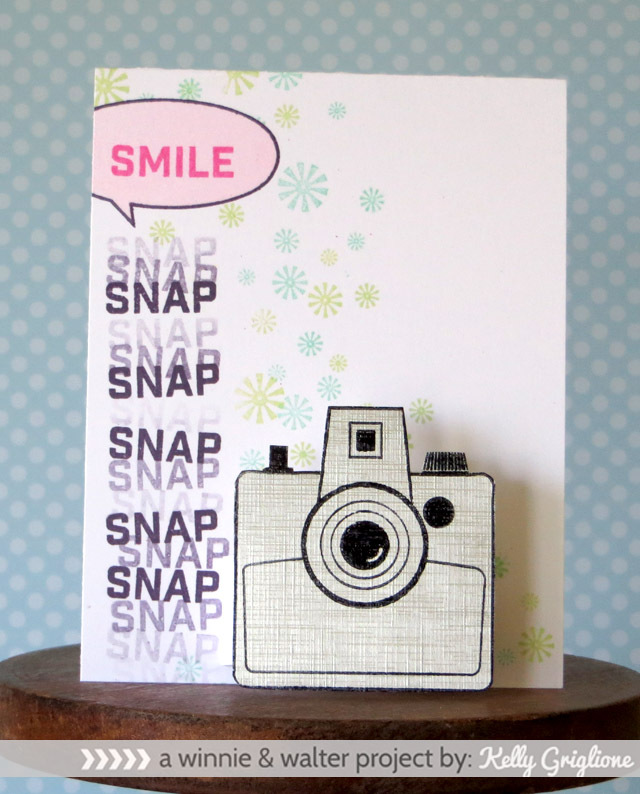 It is cute, graphic, retro and so easy to personalize from coloring or paper piecing to decorating with stamps and/or embellishments AND you can add sentiments or journaling on it! 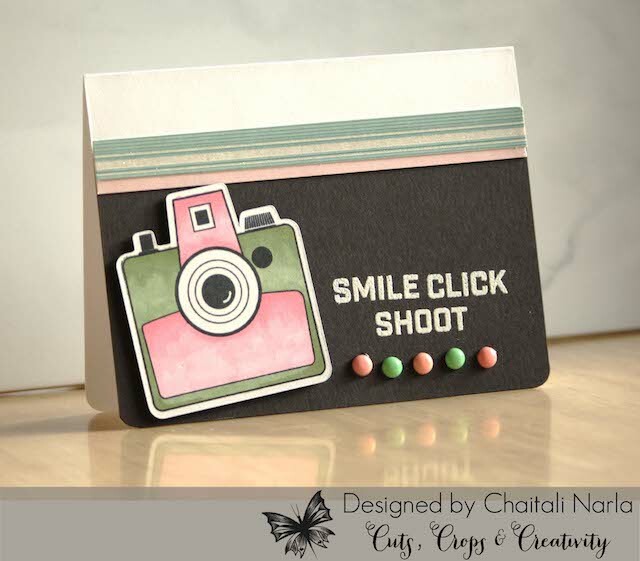 Talk about awesome and then there is a simple frame with a 2 inch x 2 inch opening perfect for Instagram pictures or scenes with tons of little captions to stamp on your picture or frame AND (lots of ands) there is two tiny adorable speech bubbles and little icons to add to your projects. Whew! Talk about a packed stamp set! Available for purchase in June of 2014. Unfortunately, we had to make a change in this stamp set which slowed down production. Available for purchase May 25, 2014. This camera is going to get a lot of mileage in my studio, I can assure you of that! It's so cute and easy to transform to any look you are going for. Just wait till you see the samples today! So Cool!!! I love this trio of flashes. I remember coming up with them one night while writing in my journal. I knew I was going to use them with one of my favorite embossing powders - Judikens Aegean Silver - the glitter is iridescent and gives this card some fun shimmer. I also brought out my Ideology Film Strip Ribbon from Tim Holtz. The "aged" highlights in the ribbon are similar to the colors in the camera and it all adds to the retro feel. 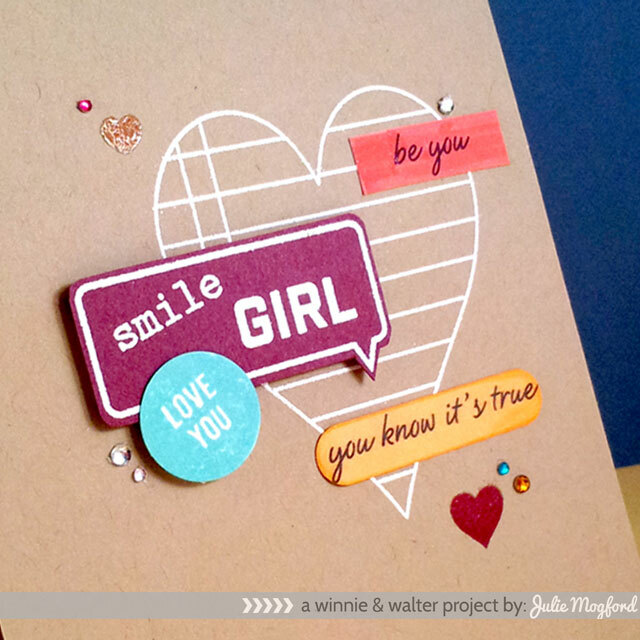 The sentiment is completely from The Big, the Bold and Extras set. Lots of good words there! I couldn't leave out our fun little icons from this set, so I created another quick card (minus drying time). I had this idea of making a string of the little icons together, and this is what I came up with - a sweet little hello card. The "hi" is from The Big, the Bold and Extras and how perfect is that? 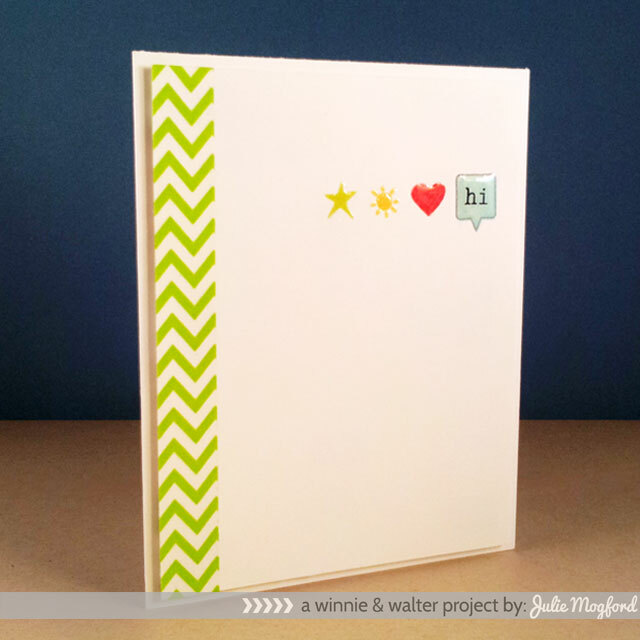 The awesome green chevron is some washi tape that has been BEGGING to be used, and this was the perfect time. I wanted to keep this card very white and very simple. 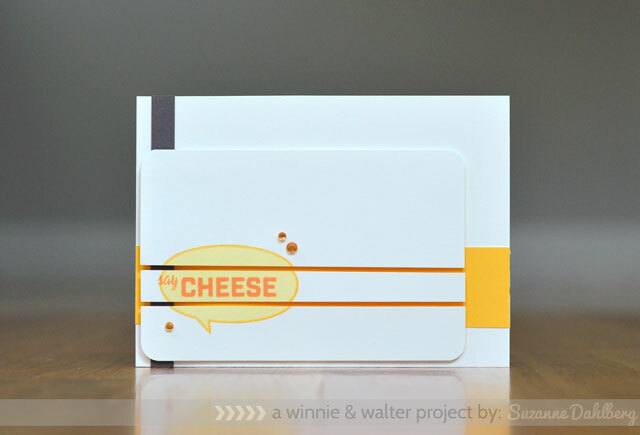 This washi tape adds the perfect amount of interest and color - just added to the edge of the panel and wrapped around to the back. The panel is popped up with foam tape for a little dimension. The final touch was the addition of glossy accents on each of the icons and the speech bubble. Insert grin here! 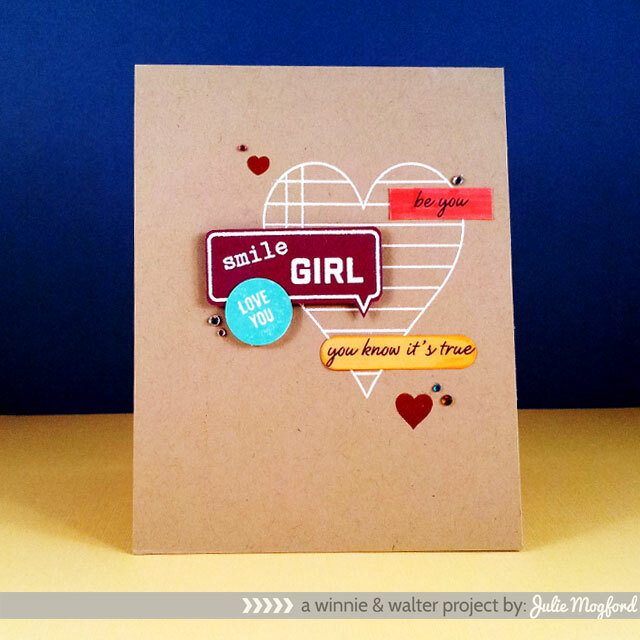 The "be you" is colored with a worn lipstick marker and "you know it's true" is colored with Distress Ink dried marigold and spiced marmalade and the punch shape is an oldie from Stampin' Up! 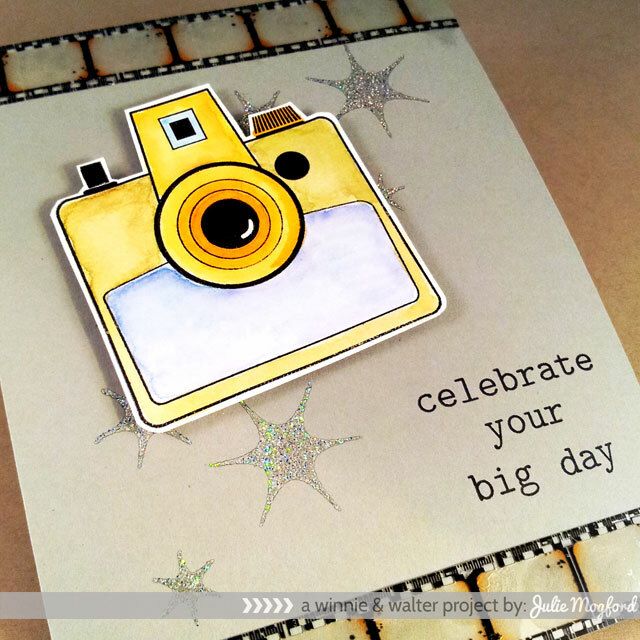 I stamped the bubble and sentiments on rich razzleberry paper (also from Stampin' Up!) and trimmed. The LOVE YOU circle is also from The Write Stuff: Love Story and punched and both the bubble and the circle are on foam tape. While I had this fab set on my desk, I grabbed the large heart and stamped and clear embossed it at the bottom, and also grabbed the tiny heart from You've Got Love Mail and used the same treatment in a different color at the top. Last but not least, I picked coordinating gems to sprinkle around. Enjoy the fabulous projects ahead! You are in for a real treat! I made a couple of cards using the two stamp sets together as I think they work so well together. For my first card I had to without a doubt make a card saying "girl you know it's true". I know I am silly, but it makes me laugh every single time I see it. 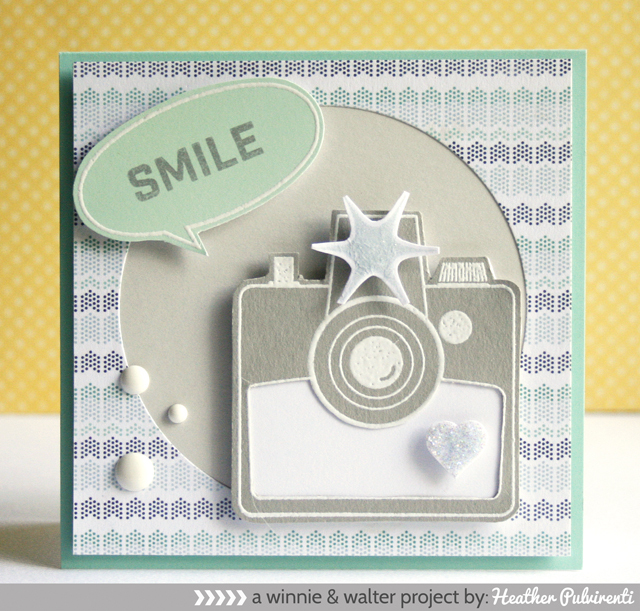 :-) I used ephemera from the Lemon Lush collection by Studio Calico along with stamped images. 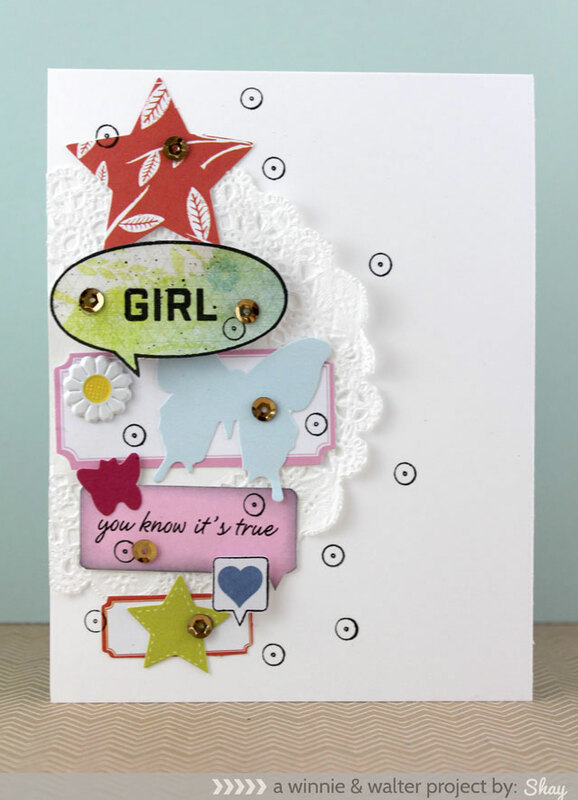 I stamped the outline oval speech bubble from Bubble Talk on a piece of patterned paper from Studio Calico's Lemon Lush 6x6 paper pad and added "girl". 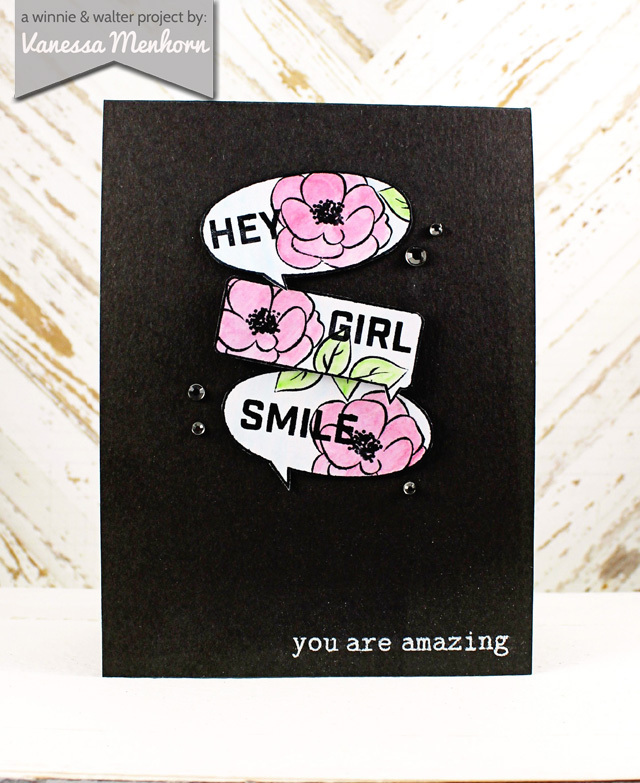 I also stamped the solid rectangle speech bubble with passion flower Hero Arts Shadow Ink and then stamped the sentiment "you know it's true" in black from Bubble Talk. I also stamped the tiny outline speech bubble from The Write Stuff: Picture Perfect onto a heart patterned paper from the same 6x6 paper pad. Onto a piece of card stock I added a white doily and then arranged all of the elements down the left hand side of the card. 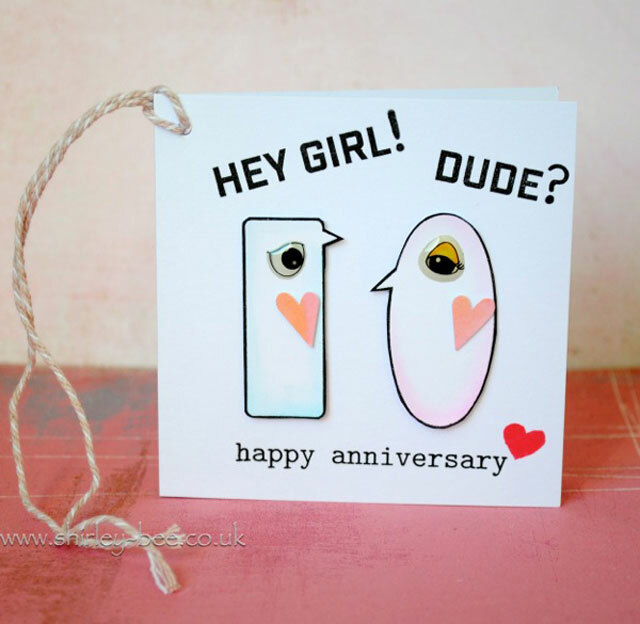 I adhered them onto the card adding a daisy brad from the May 2014 OhDeerMe Kit by Freckled Fawn. I also stamped the littlest flat outline sequin from Scenery: Big Bang Bling (check for more on that tomorrow!) all around for interest and then scattered some real gold sequins. I decided later to pop up the girl speech bubble and tiny heart bubbles with dimensional foam adhesive. That's it from me for today, but you have so much more to see from our marvelous guest stars and the always stunning Talent! We are so pleased to feature our guest star and first Playdate challenge winner, Shirley Bampton's amazing projects. It is our honor to present our ultra-talented guest star, Chaitali Narla's fantastic project. 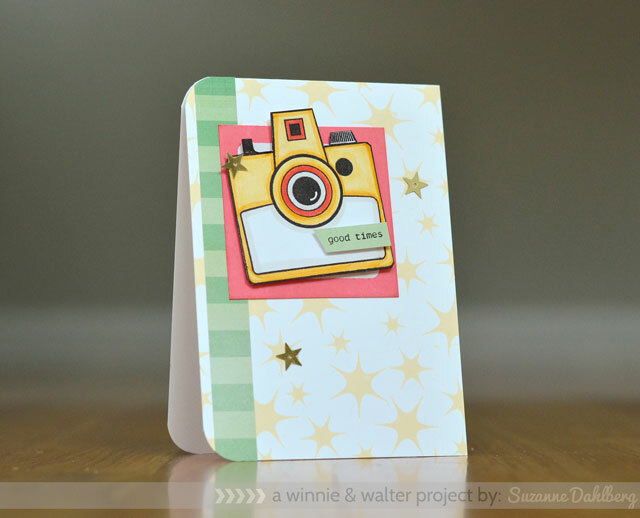 Comment here on this post for a chance to win Bubble Talk (will be sent separately when available) + The Write Stuff: Picture Perfect stamp sets of your own by 12:01 a.m. (central standard time) May 25, 2014. One comment will be chosen at random. Oh my, AWESOME overload happening here! The two sets are beyond fabulous, and then, in the hands of your talented designers, they become fabulous to the max! Wowed by every card here...So impressive! Almost overwhelmed by the creative-ness =] Just awesome, ladies! Another fabulous job ladies! Bubble Talk looks like it will be lots of fun! OH my goodness.... All of these cards are absolutely stunning!!!! I love them all!!!! Very creative projects--love the camera and the flashes. I am so in to speech bubbles lately! Can't wait to get my hands on this set!!! Love the camera. It is so changeable and right for lots of products! Woo hoo I can see this would be perfect for scrap booking! Awesome. DT creations! bubble talk looks like a super fun set! Can't wait to see the full release! Amazing DT creations! Looking forward to the full release! Another awesome set and I love that camera! Love this set! Can't wait!! Oh, I love that camera! So fun! The speech bubbles and sentiments are so cute! These cards are so fun! Love the speech bubble! These both look like such great sets. So much fun. Oh WOW, loving that camera (and I don't have a camera stamp yet so I would love to pick up this one!) All of the samples today are so awesome, loving this release so much! These are DARLING! 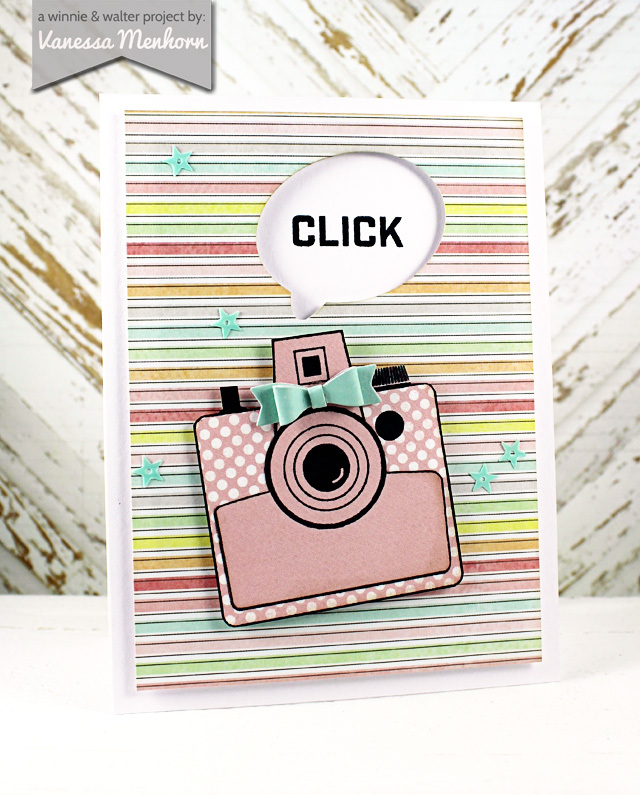 LOVE that cute camera - totally darling! And the bubble talk set looks fabulous too!!! I think I'm going to love this set! Thanks for the chance to win one! What fantastic cards from the DT! I love the speech bubbles! What a fun set...love that oversized camera! 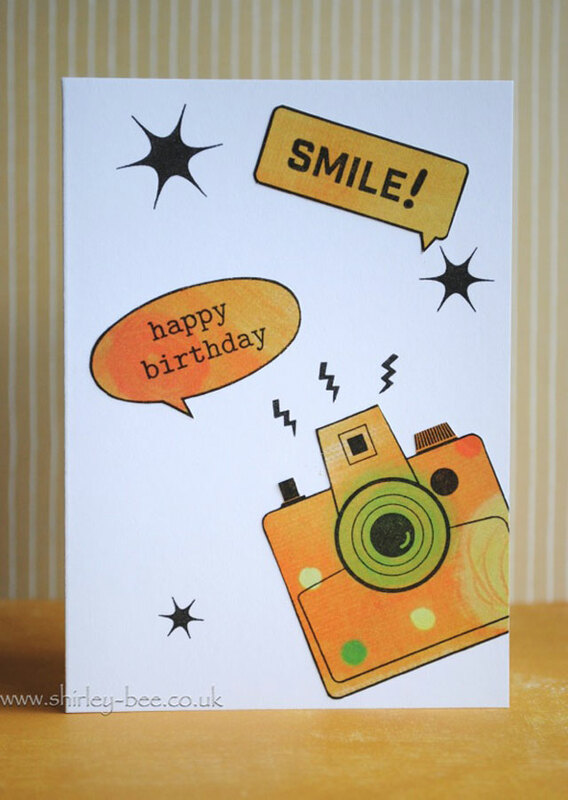 These are amazing fabulous cards! WOW! I really like this Bubble Talk and cute camera! I love that camera! Both sets are awesome! Love the camera and the speech bubbles! Oh, my goodness...these projects are so fabulous! LOVE these sets! Oh my stars! That set looks like it's going to be super cute! Wow. It's an amazing set. 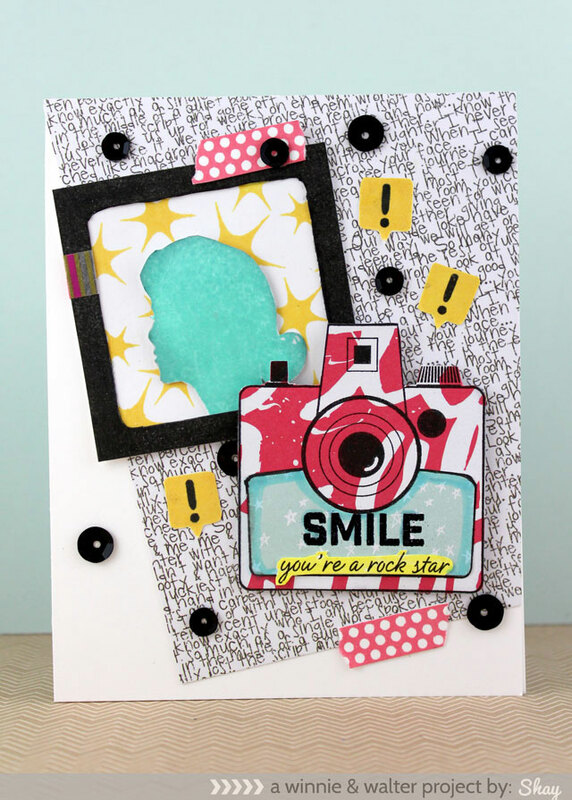 These are great cards that show the the versatility of the new stamps! Hey girl! I need a stamp that says that. AWESOME! This is such a cute & fun set! Your team and guests have some amazing ideas! Just a little while longer to see these sets revealed! 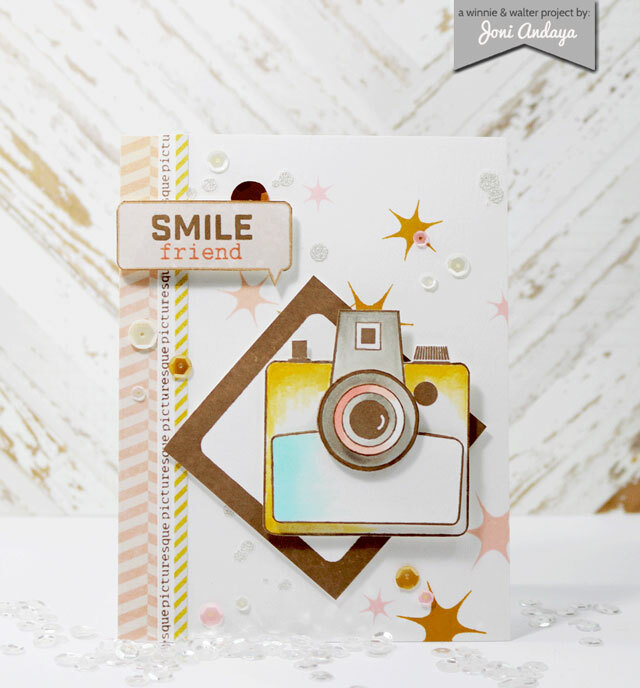 Oh what gorgeous and fun cards!! I can't believe I missed this post. What an awesome stamp set! The DT's cards are amazing. So getting up early tomorrow just to see the reveal of these new sets. Am placing my first order tomorrow! These cards all made me smile! My wallet is taking a hit this month. 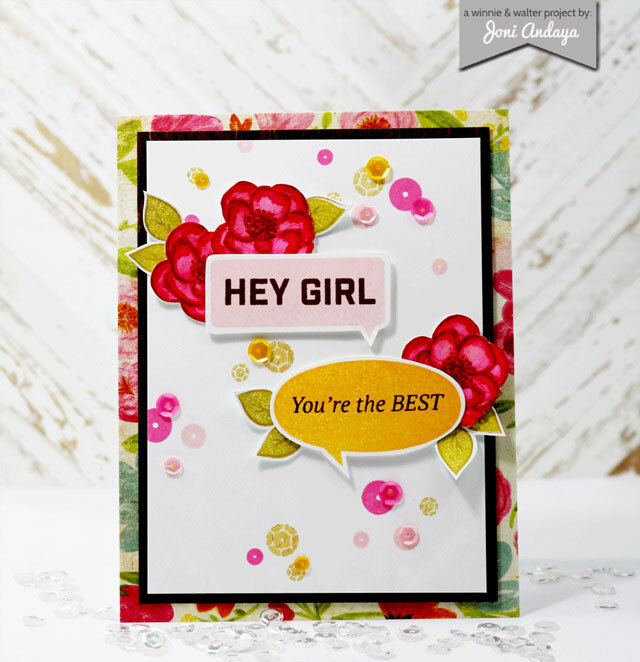 Fantastic inspiration in everyone's cards! Oh my goodness - each and every one of these cards is fabulous. Love those images. Quite simply gorgeous!! I can already see in my mind different cards I could make with these wonderful sets and with all those wonderful projects for inspiration, how can I go wrong!! Thank you so much for the chance to win, fingers crossed! 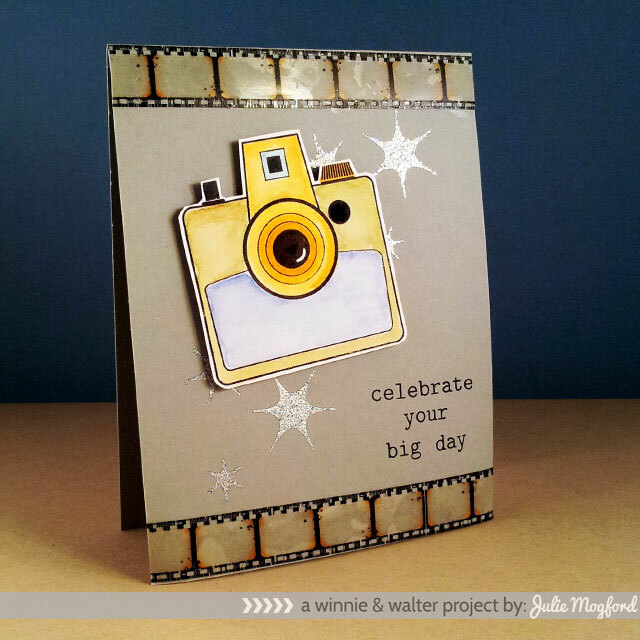 Really wonderful and great cards with the new w&w stamps!